· Gallery 5. Photos taken with 4Mpix Kodak C330. 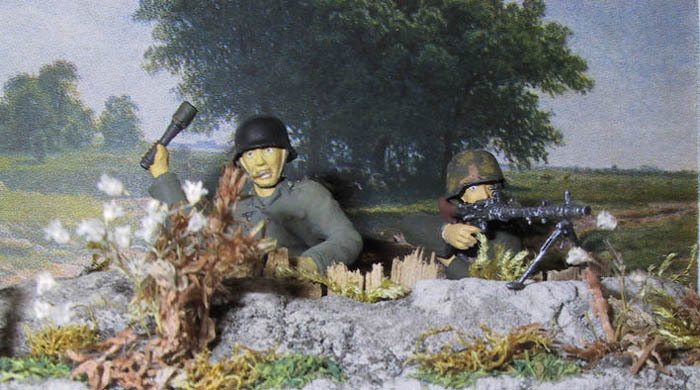 Plus some nice dioramas by other diorama makers. · Gallery 6 (added in 2009). Some new photos which I hope you will like. · New ! Landscapes for diorama (added in 2010). Good landscapes for diorama background. · Gallery of Backgrounds . Some nice photos (nature, landscapes, etc) that can be used as a background for a diorama. Hi, dear visitor! My name is Stanislav. I live in Kharkiv,Ukraine. I don't have an airbrush and build dioramas on a very moderate budget. I always try my best though :-). The photos on this page were taken with a digital Canon Powershot S20. In fact, that was my first experience with a digital camera. 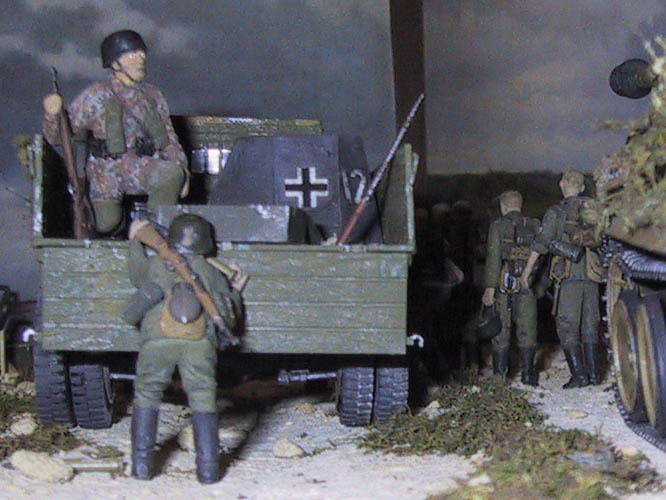 The drive behind building dioramas ususally comes to me after watching some ww2 videos. Sometimes just one black-and-white picture (like the ones in the ww2photo gallery) is enough. Toy soldiers were my favorite toys in my childhood. 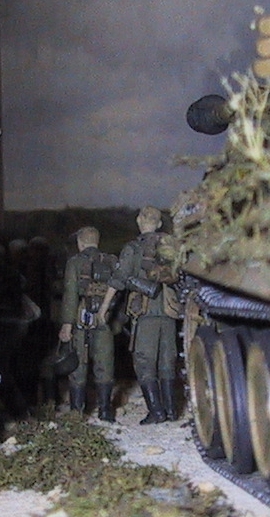 My first serious attempt to paint a 1\35 figure was when I was 15. Painting and assembling the parts is a very microscopic process. I get oftentimes quite frustrated when I can't paint the figure's face the way I have seen it on the photos made by pro's on the interenet. The real joy comes when you spend like 30 minutes or more just standing and observing a newly-created diorama. Time flies by and you just don't notice it. 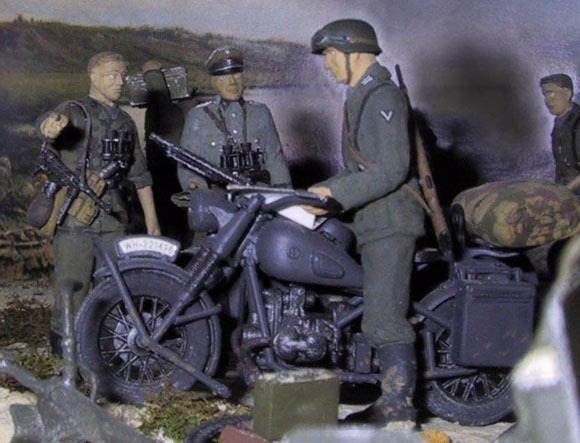 Another highly enjoyable moment is when you make changes to the position of the figures and the vehichles in the diorama. Sometimes I change the whole plot on the diorama base. The story changes and you can enjoy looking a practically new diorama. 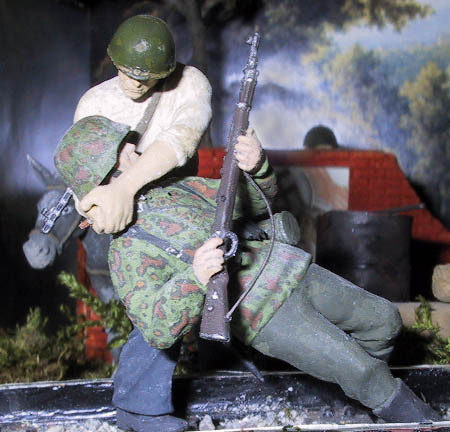 I also enjoy taking photos of the dioramas. 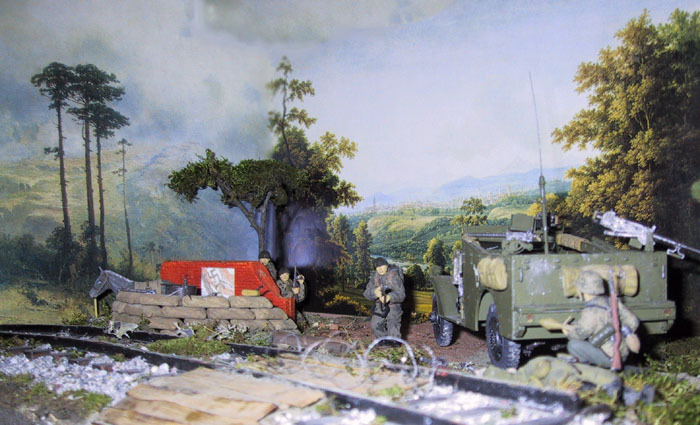 My great inspiration came many years ago from a Verlinden book with photos of dioramas with a nice background. I realized at that a good background really brings a diorama to life. That's why now I take all photos with some kind of a background. I make my search of a diorama background by looking at photos of landscapes on the internet and Dc++ filesharing net. Then I print them out and use them with different figures. I painfully realize that at 29, I am still not a pro at painting the figures and weathering the vehicles. My techniques greatly improved since my first attempt to paint a figure. But when I see porfessional work on scalemodelling websites, I feel quite jealous :-). Maybe these feelings help me do my best at improving my own skills at painting the figures. 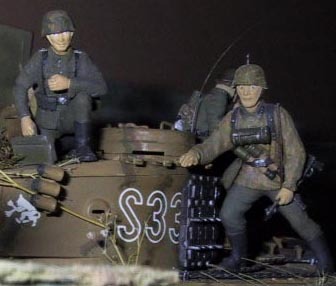 I sometimes dream of companies selling 1\35 figures and vehicles which are already assembled and painted at the factory at a pro level and all you need is to put the ready-made figure on the diorama base. Good luck and enjoy the photos! 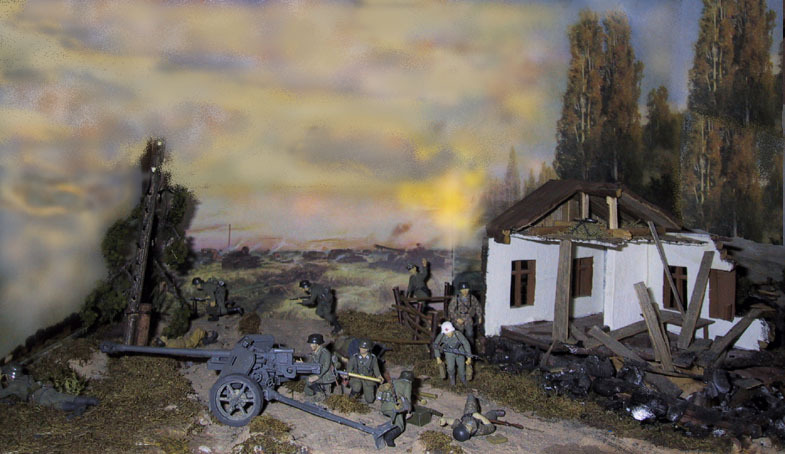 Проект diorama.ru – много диорам, обзоров и тд. Проект track-link.net – крупный англоязычный сайт с диорамами и тд.